If there’s one thing that’s relatively reasonably priced in Norway, it’s electricity, but international experts think electricity rates could and should double within the next 15 years. They also think diesel- and gasoline-driven cars will all but disappear by 2050. These are among conclusions in a new report from the International Energy Agency (IEA), the independent organization set up after the oil crisis of the early 1970s to promote more stable and sustainable energy supplies. Oslo-based newspaper Dagens Næringsliv (DN) obtained a copy of the report before its release on Monday, to see how Norway would be affected. Consumers will be the biggest losers. After decades of enjoying low electricity bills compared to most other countries, thanks to Norway’s waterfalls and hydroelectric power plants, residents and businesses in the country may be in for a shock. IEA researchers, including many working at seven Nordic research institutes, recommend major changes in Nordic energy policy in order to cut carbon emissions and meet climate goals. “I think Norway’s role (in energy production) will emerge even more clearly, also in the overall picture,” Markus Wråke of the Swedish environmental institute IVL, told DN. 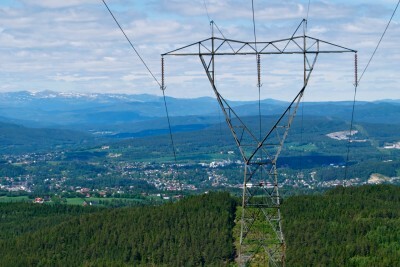 Norwegian electricity producers and distributors will be the winners, as they sell more of Norway’s electricity to both the European continent and the British Isles. The IEA also advocates huge investment in construction of new power cables from Norway to, for example, Germany and the UK, to make them less reliant on coal and other more polluting or environmentally risky power sources. Electricity exports, with Norway emerging as a major exporter, would thus help ensure that goals for carbon emission cuts are met. DN reported that there was no analysis in the IEA report of what consequences the climate-related goals would or should have for Norway’s major oil and gas production, apart from mention of the IEA’s etimates for production from Norway’s offshore oil and gas fields under earlier scenarios. Environmentalists advocate cuts in oil and gas production and exploration instead as the best means of ensuring carbon emission cuts in Norway, where emissions actually rose from 2014 to 2015. Last week’s announcement of even more exploration instead, and in new areas of the environmentally sensitive Arctic, enraged the environmental movement, while government official contend that export of “clean” Norwegian gas can also help offset the need for coal-fired power in Europe and thus can contribute to reaching climate goals. The IEA report seemed to avoid the oil and gas debate, stressing that to meet climate goals in Europe, Norway should become an even bigger electricity exporter than it already is. Stein Lier-Hansen of the trade association Norsk Industri disagreed strongly, noting how that would boost expenses for both consumers and Norwegian business and industry within the country. “It’s nonsense to think that electricity prices will double in Norway, and that it would contribute to reaching climate goals,” Lier-Hansen told DN. The IEA also called, meanwhile, for much more investment in carbon capture and storage facilities in Norway, in wind-power plants and in making buildings more energy-efficient. Norway’s nationwide vehicle inventory of around 12 million diesel- and gasoline-powered cars and trucks will also fall to around 2 million by 2050, according to the report, firming the country’s role as a global leader in electric car use. All told, the IEA is recommending investment equal to USD 333 billion in energy enhancements in the five Nordic countries as a whole. Lier-Hansen of the industrial group agreed with the proposal to invest more in carbon capture and storage facilities, but was adamant against boosting electricity exports to the extent that bills will double for electricity customers in Norway. Researcher Svend Søyland of the Nordisk Energiforskning noted how such opposition will put heavy pressure on politicians in the years to come. “The political leaders face difficult choices, Søyland told DN. His colleague Benjamin Donald Smith conceded that consumers in Norway stand to lose while power-industry players stand to gain. “It’s the politicians’ job to balance these differences,” Smith told DN.